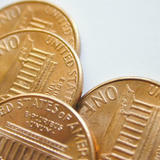 "People love to offer their two-cents worth!" Microstockinsider is designed to be a guide and an archive of microstock contributor info. We could run a forum but other sites have done in so much better, with many more visitors offering their point of view. Remember that one of the easiest ways to get your work known by other microstock photographers is to make useful posts on message boards, forums and comment fields, help others and they may help you in the future. The larger microstock agencies themselves have their own forums, if you need help or have comment on a specific site then that might also be a good place to start. Bias, needless to say these forums are not such a good place to find independent comment and comparisons about other agencies, but most allow the fair views of their photographers. Sometimes it's nice to know that you are not the only one having a problem 'uploading this afternoon'. Sit back and relax and watch the money roll in... in your dreams!